The Iowa Tenants' Project is part of the Law Office of Christopher Warnock. Mr. Warnock has been an attorney since 1990 and a member of the Iowa Bar since 2008. He received a J.D. from the University of Michigan Law School in 1989. He practiced as a criminal defense attorney and CJA public defender in Washington, D.C. from 1990-2005 and was counsel of record in over a dozen published opinions issued by the District of Columbia Court of Appeals, the highest court of the District of Columbia. He is a member of the Bar of the Supreme Court of Iowa, as well as the United States Court of the Appeals for the District of Columbia Circuit and the United States Supreme Court. He has filed sixteen petitions for writs of certiorari in the US Supreme Court and an amicus brief in Lewis v. United States, 518 US 322 (1996) a key case defining the right, or actually unfortunately the lack of right, to jury trial in criminal cases. He was counsel of record in Staley v. Barkalow No. 12-1031, 834 N.W.2d 873 (Iowa App. 2013), a landmark Iowa class action and landlord/tenant case as well as DeStefano v. Apts Downtown No. 14-0820 and Caruso v. Apts Downtown No. 14-1783. 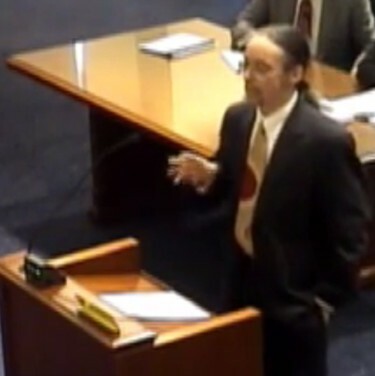 Here is a Youtube video of Christopher Warnock arguing before the Iowa Supreme Court in DeStefano v. Apts. Downtown. He was also counsel in Kline v. Southgate No. 15-1350 and Walton v. Gaffey No. 15-1348, two more significant Iowa Supreme Court cases that establish the right of tenants to a legal lease, a lease free from illegal provisions. Christopher Warnock represents both tenants and landlords. The Tenants' Project provides information for tenants and landlords, and provides a focus for efforts to improve the rental culture for landlords and tenants in Iowa City. Please note that information provided by the Tenants' Project via this website or by phone or e-mail enquiry is only general information not detailed legal research which applies to the specific facts and law of your case. While information provided to an attorney by a prospective client has some legal protections, no attorney/relationship is formed with Christopher Warnock, the Tenants' Project or affiliated attorneys until a retainer agreement is signed.